Speedometer PPT Template for PowerPoint - Free Donload Now! 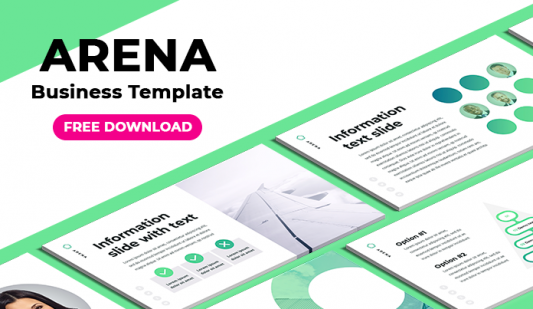 What is our speedometer PPT template for? On this page, we represent our new speedometer PPT template. It is a high-quality unique element for business presentations and video blogs. Business topics are usually rather complex or overloaded with boring text information. These are reports, analyses, statistics, etc. Such data is complicated for perception. Thus, the purpose of every speaker is to diversify presentations and make them as lively as possible. Trying to make a speech attractive, they use such visualization tools as these speedometer charts. On the sample, users see two speedometers with text lines below them. These are our new creative elements. Their design is unique. A clear structure is professionally developed and tested. This slide serves as one of the visualization elements, which is designed to clarify complex points of speeches as well as simplify the process of topics describing. Perfect quality. If you want to get this speedometer PowerPoint template for free but still doubt, do not hesitate and download it. Our slide is tested and approved. We offer high-quality infographic and guarantee its perfect quality without defects. Built-in tools. The elements can be adjusted to your needs in a few clicks. It is possible to edit colors, text, size, or other vector elements. Free download. 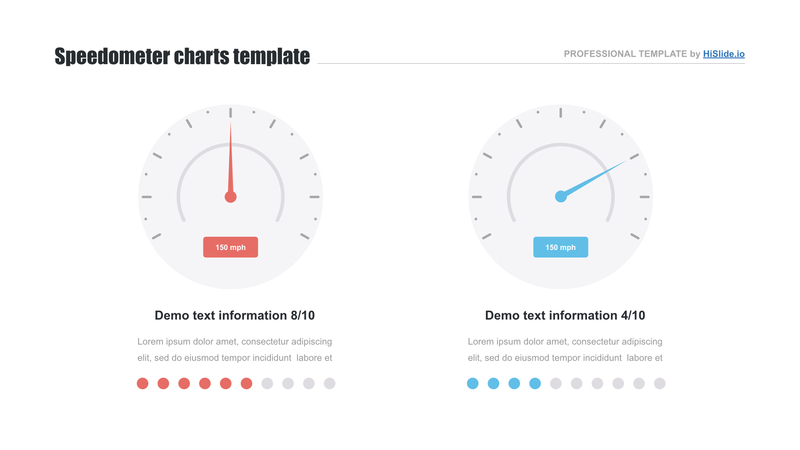 This is a free speedometer PPT template and every user can download the slide in a few clicks. Multipurpose template. This infographic is used for various projects and presentations of different spheres of activity. Premade easy-to-use infographic. 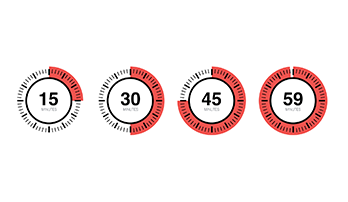 Our speedometer PPT template simplifies employees’ work. 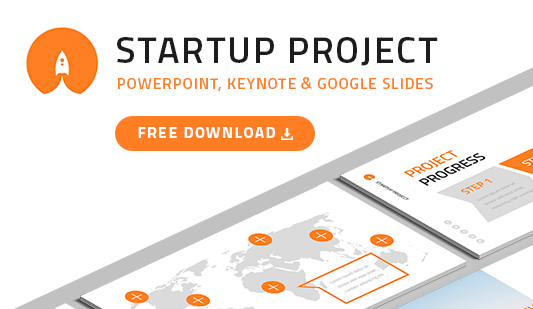 With the help of this slide, users create new presentations quickly and effortless. Moreover, it helps speakers to create a positive reputation. Such a high-quality unique infographic will demonstrate their competence.